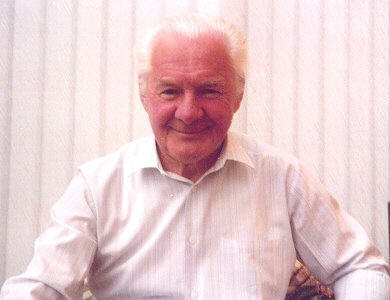 MAYBOLE has lost one of its most respected figures with the death of William Grant JP at the age of 77. Elected to Maybole Town Council as a Labour councillor in 1966, he went on to become the council's Senior Bailie and a Justice of the Peace. Along with the Provost, bailies were the traditional magistrates of a burgh, and the title goes back centuries. After the town council was scrapped, ex-Bailie Grant went on to serve on Maybole Community Council, and was a director of May-Tag from 1995-98. Born in the mining village of Forth, Lanarkshire, young William was a `Bevin Boy'. Following National Service, he worked for a private hardware firm before start­ing a long career with the Co-operative movement at the Shotts and Dykehead branch. Willie, wife Josie and daughter Elizabeth moved to Maybole in 1955, and the family grew, with the births of daughter Margaret and son John. Willie was manager of the Co-operative furniture and hardware shop in Whitehall. The premises are now occupied by Carrick Sports Club, and Willie was a founder member of the club, first known as Carrick Speakers' Social Club. Willie transferred to the Girvan branch after the Maybole shop closed, and he also worked at the Stamp- works and Arnott's, before retiring from Ayr Bedroom Centre. The Grant family home was above the old Co-poperative bakers in the High Street, before Willie and Josie moved to Vicarlands 18 years ago. An active Mason, Willie was also a keen bowler and enjoyed a round of golf. He was also a staunch member of Maybole West Church. Maybole Community Coun­cil chairman David Kiltie said: "Willie was a great ser­vant to Maybole, and was held in very high regard. "He had a wide knowledge of, and concern for, people, and was a champion for them during his terms of office on Maybole Town Council. "His experience was very helpful on the community council, and his business knowledge was invaluable as a director of May-Tag. "He will be sadly missed by all of us who knew him - he was a real gentleman - and our thoughts are with Josie and her family."